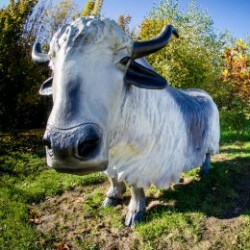 This time we would like to simply recommend another unique attraction of Krakow intended for children and young people. We strongly encourage You to visit the Global Education Park Villages of the World. 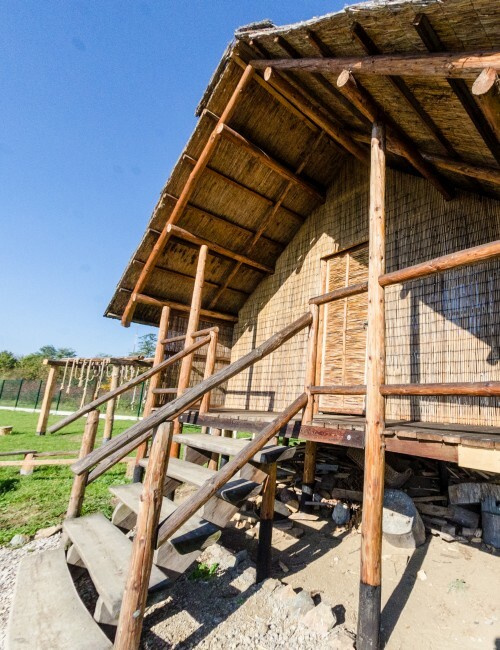 In this unique place young explorers can learn about spiritual and material culture of indigenous people from different continents. It is not only a great adventure, but above all an experience that develops empathy, sensitivity and knowledge about life in different corners of our planet. There are 6 reconstructions of settlements from different continents arranged in a huge map, on which you can wander, discovering all these amazing places. 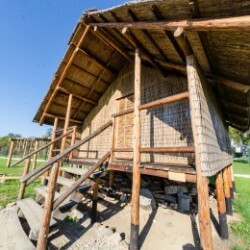 Guests of the Park could visit African, Indian and Peruvian villages, a Mongolian yurt, Eskimo igloo and Papuan house on stilts. In all these superbly reconstructed huts You could see the original costumes and everyday objects. Members of the Salesian Missionary Voluntary Service YOUTH FOR THE WORLD, who had the opportunity to work in a particular regions of the globe, tell visitors about people from each continent, their everyday life and different value systems. The most wonderful thing here is that kids can touch and try almost every object. That kind of interactive sightseeing is a fantastic adventure! Let us add, that the creators of the Park, pay attention to such problems as poverty, inequality, exploitation of people from the poor regions of the world and ecological threats. Kids in Krakow? No ideas for activities for children? Take this place into consideration necessarily! Take your kids or students on a remarkable journey around the world. We can help You with booking! The Global Education Park is located on Tyniecka Street, on the way to the Tyniec Benedictine Abbey. It is great idea to combine visiting these two places. 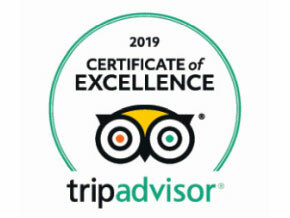 Wise entertainment, supporting the development of the child – Krakow Guide highly recommend! Visit the village lost in the Andes! 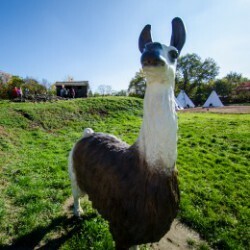 Guests have the opportunity to meet llama and learn something about original behaviour of these funny, woolly creatures. You could try on traditional Peruvian costumes, try out local instruments (for example guitar made of armadillo! ), as well as get know the advantages of plants cultivated in Peru. This time we are in Australia and Oceania. You can play here in a large format board game ‘Explorers of Papua’ and faced the everyday problems of the indigenous inhabitants of the region. Trying on costumes or traditional jewellery and relaxing in a Papuan hammock are just a few of many available activities. 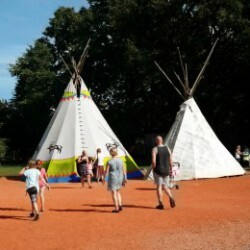 Visitors can learn here about customs, mythology and material culture of North American Indians. You can look inside traditional tepee and see, how the Indians lived or prepared their traditional meals. Visiting the village is also an opportunity to shoot a bow, hunt buffalo, and even try on traditional plume of Indian chief. In this unique place visitors can admire the costumes, instruments and beautiful interior of the tent from distant Mongolia. Traditional decorative patterns and everyday objects are really amazing. The creators of the Park invite young explorers to try to load the purchases on a camel or milk a… yak. An amazing adventure! The expedition to the far North. 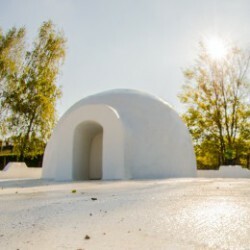 Thanks to the visit in the igloo, You will discover the difference between modern and traditional life of the inhabitants of cold Arctic. In the cosy Eskimo house visitors can watch interesting films and photographs showing the beauty of the northern areas of the globe. A great opportunity to learn, what are the threats for this wonderful region of our planet. The traditional Ghanaian village with its circular, made of clay, straw-roofed huts. 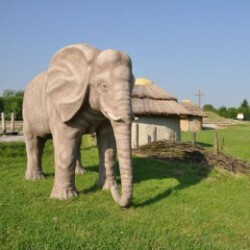 You will meet here an elephant, discover some dirty secrets of global trade and many fascinating facts about everyday life in Africa. Playing on a traditional drum or grinding grains in the mortar are unforgettable experiences.